Every year it’s the same struggle for most of us, rushing to buy the perfect presents and not finding exactly what you want, especially for that finickity family member (no names given). So this year, why not dump the big chains and department stores for our array of suggestions from these wonderful independent shops from all over the world. Plus, they almost certainly pay their taxes! We promise you’ll find something for everyone, whether they’re having a shrimp on the barbie this holiday season or a white Christmas. For the chance to get some great tips and win prizes in our Jimdo Advent Calendar “Like” and check out the Jimdo Facebook page! If you love functional gifts with an unusual twist then this friendly Dutch design duo Lucas & Lucas are right up your alley. Daily Basics Design emerged from the designers’ inspiration from everyday objects and their mutual passion for functional and accessible design. Lucas & Lucas reevaluate objects from daily life by placing them in a new and unusual context. This is how the duo create unconventional designs that make you smile! 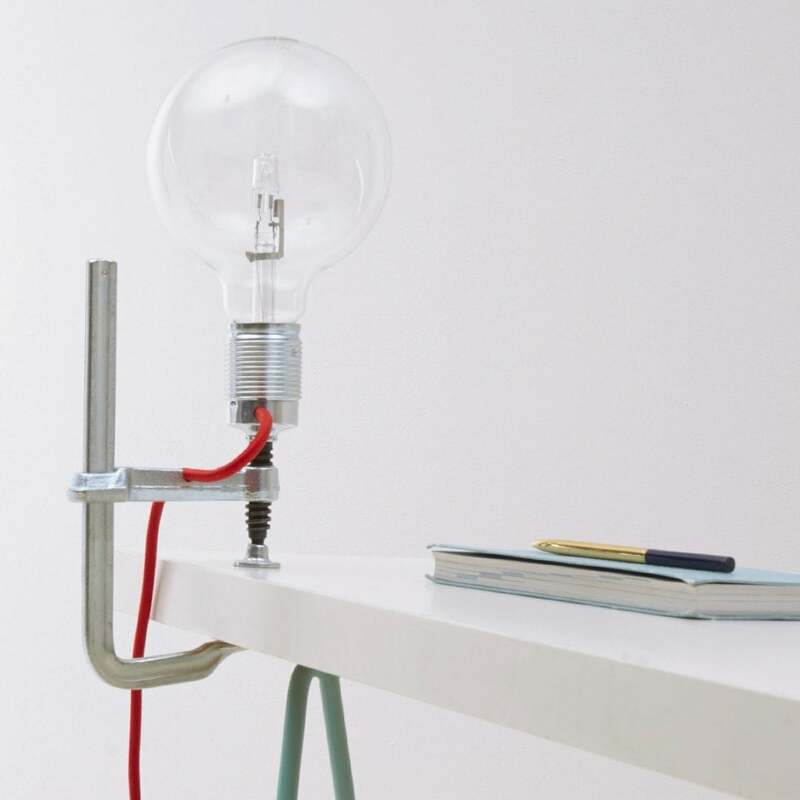 We love the clamp light with its industrial feel, perfect for that person in your life who doesn’t want clutter, just practical and purposeful home decoration. The collection of handmade design items are available on their website and selected stores. Their website is as simple and functional as their products. The navigation is short and to the point but has everything you need. Short navigation is key for good web design. The large Header prominently displays their beautiful products in an eye-catching slideshow. Maison Hani is a Streetwear Label with traditional Moroccan influences. A real-life story of how hard work can make your business dreams come true, even if it takes two generations. Chak Hani was inspired by his father who grew up in Casablanca and trained as a tailor. He created his first fashion collection as a teenager. You can clearly see his passion and talent for fashion in his vibrant and stylish streetwear collection. Although the collection is definitely modern, many of the pieces have traditional Arabic embroidery that celebrates the Moroccan roots at the heart of the brand. It’s a perfect gift for those friends or family members that follow the latest fashion trends and are looking for something a bit special. Maison Hani has created a “Lookbook” that acts as an online catalog to really show off the collection in a modern, creative and stylish format. The story! It’s so important to share the background story of your brand and connect with your visitors. Maison Hani shares his story in a wonderfully personal and heartwarming explanation about the origins of the brand. Jewelry is a classic staple gift that everyone loves. However, it’s a huge industry with a few big brand names that make the most ripples. Which is why it’s easy to miss the hidden gems—like Hattie Weselyk. All of Hattie’s jewelry is entirely handcrafted in historic Unionville, Pennsylvania using the finest metals and gemstones sourced in the US. Hattie creates beautiful necklaces, bracelets, and rings or will even create a custom piece if you’re looking for something truly personal. So there’s no need to feel bad for overindulging this holiday season with a “his and her” ring or a matching necklace for your bestie. After all, you’re helping a local industry. Gift vouchers are also available if you’re not sure which piece to choose. The Testimonials scroll at the bottom of the website so you can read the customer reviews without leaving the page. According to a recent consumer survey by BrightLocal, 84% of people trust online reviews just as much as personal recommendations so this is definitely worth trying out! The Newsletter subscription pop-up. This is some savvy marketing and a great way to connect with your customers, not to mention notify them of new products or offers. Typoflora is a stationery design studio based in Sydney. The idea of Typoflora was inspired by Shannon’s own springtime wedding theme “beautiful flowers in full bloom.” Drawing on her background in print design, she set out to create a theme combining photographic elements with hand illustrated florals. The result? Beautiful, sophisticated designs on notebooks, cards, and prints for those who share a love for botanicals. We especially love the notebooks that are perfect for budding artists, writers or bulletjournalers! The logo! As an Artist, your logo is your website calling card and this stunning logo definitely delivers. It’s memorable and a perfect reflection of the brand’s artistry. The coherent visual branding that ties across the whole website. 10% off for all Jimdo users. Valid until 30 June 2018. Seagrass design is a ray of sunshine straight from Tasmania. Their bold colorful style is instantly recognizable across their men’s, women’s and toddlers fashion ranges, homeware, and artwork.The dynamic duo, artist Jamie, and fashionista Kimberley first came up with the idea in 2007 of creating an artwork business based on texture, pattern, color and unique designs. Gift persona: The outgoing type. Their blog! It’s a great way to build your customer community and data shows that business blogs do give marketing results. The great use of the large Header featuring their vibrant artistic style in the background with the logo in the middle. Do have an online shop with Jimdo that you’d like to recommend? Let us know in the comments! We’d love to take a look!